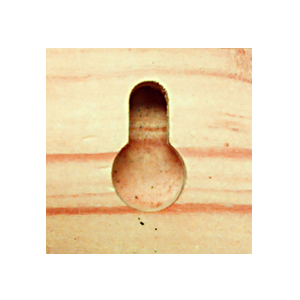 The Keyhole Function enables plunge cutting keyhole shaped mounting slots in items such as picture frames and plaques. It’s a quick an easy way to automate making these hanging slots so your work can be displayed. With Designer’s ability to design on the front and back of your boards, adding these professional looking hanging slots becomes simple. 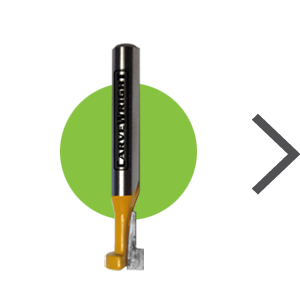 The keyhole bit required for this is included with this module. 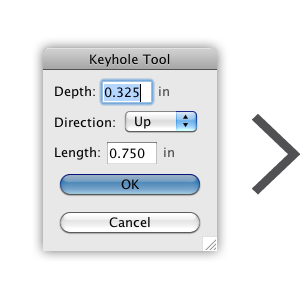 Using the Keyhole Function is simple. 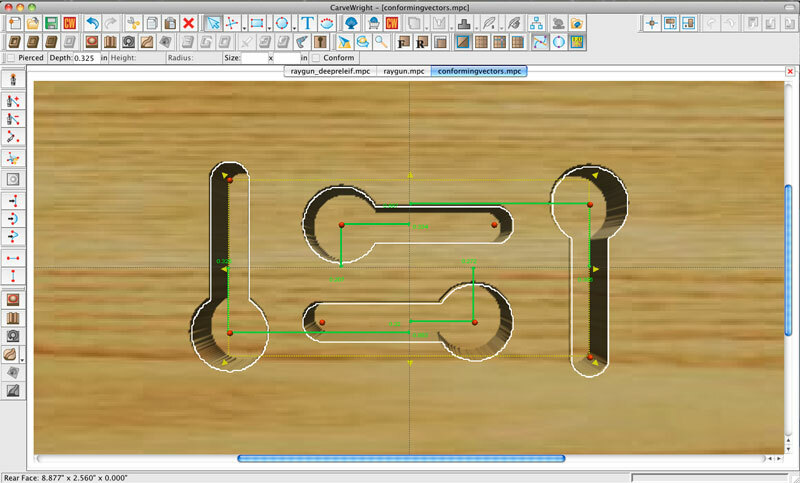 Select the Keyhole tool icon in Project Designer, click on the board where you wish to place the keyhole, set the parameters, and then upload and let your CarveWright make the cut. Two flute, 1/4 inch steel shank, carbide tipped, keyhole bit, with 3/8 inch diameter. 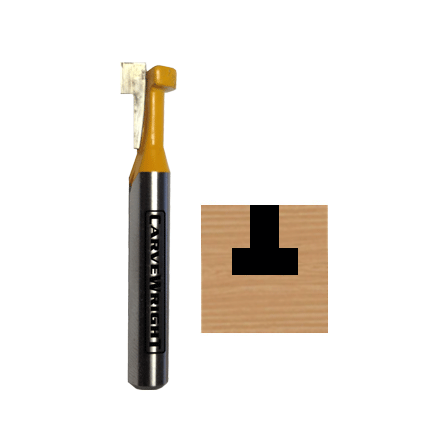 Included with the Keyhole Function add on, and sold as replacement.